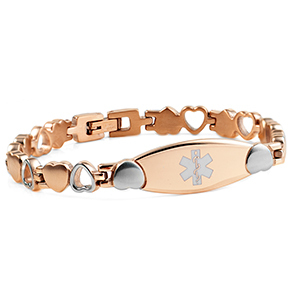 You will love this cute rose gold plated heart medical bracelet with silver accents! 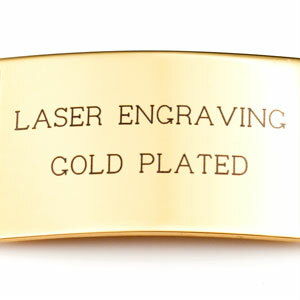 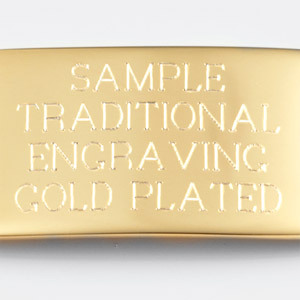 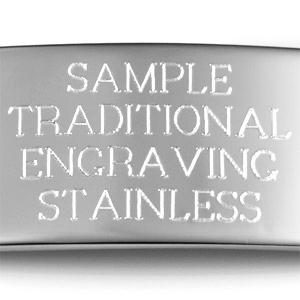 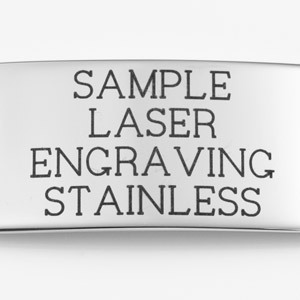 Engrave the back of ID tag with your medical information. 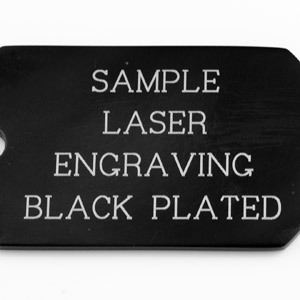 Tag Measurements are L 1.75 X H .5. inches. 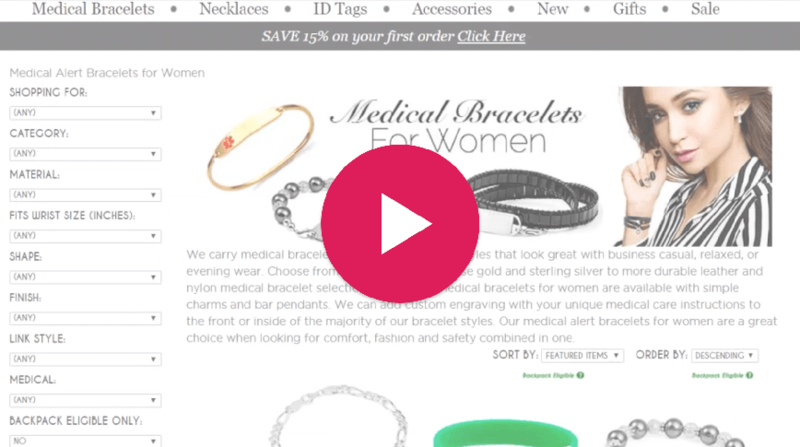 This medical ID bracelet is a great look for young women and seniors!